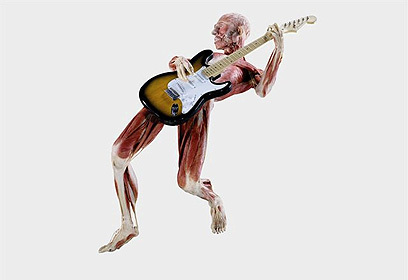 "Body Worlds", a travelling exhibition of preserved human bodies and body parts will be arriving at MadaTech, the Israel National Museum of Science in Haifa next month, unless a planned wave of public protest manages to have the show cancelled. The controversial exhibition will be on display at the museum for three months. Two petitions against the exhibit are already making their way to the High Court off Justice, and ultra-Orthodox leaders in the country vowed to stage mass rallies against it. A long line of organizations and individuals across the world have objected to the exhibition on religious grounds and because they argue that it violates the dignity of the dead. Ynet has learned that about a year ago, the Israeli organizers approached Chief Rabbi Yona Metzger and asked that he formulate an opinion regarding the exhibit, based on Jewish law. Metzger unequivocally ruled that "such an exhibit has no place in the Holy Land, and I therefore recommend that you don't get involved in this." Rabbi Metzger stressed that holding a show that displays human bodies is inconsistent with reverence for the dead, and clarified that on this issue there was no difference between Jews and non-Jews. "The Jewish people, who take great care to honor and bury their dead, must extend the same treatment to non-Jewish deceased, so as not to prompt animosity and hatred towards the Jewish people," he noted at the time, stressing that a dead person's body must be brought to burial. The chief rabbi further wrote that in the event that such an exhibit was to be held in Israel, "Our outcry would reach the ends of the earth." However, the organizers apparently ignored Metzger's warnings, and the show is scheduled to open in Haifa in the beginning of April. Meanwhile, a group of petitioners sent a letter this weekend to Raleb Majadele, minister of science, culture and sport, Haifa Mayor Yona Yahav and the museum's board, urging them to cancel the exhibit. "Putting body parts on display goes against the Jewish and democratic principles of the State of Israel and hurts the feelings of believers of all faiths," said the letter, sent by lawyer Aviad Hacohen on behalf of the petitioners. "With all due respect to the principles of the freedom of speech and scientific and artistic freedom – which my clients share – these freedoms should not be unlimited. In a Jewish state, in which human dignity is a primary value, it is inappropriate for body parts to be used for the purpose of sheer pleasure," the letter continued. Hacohen noted that since the museum was funded by the state, he intends to file a petition with the High Court on the matter. Micha Rothschild, chairman of the Foundation for the Prevention of Grave Desecration told Ynet he was horrified to hear of the exhibit, which he claimed involves "severe violation of the dignity of the dead," and added that the foundation will strongly protest the exhibit. Yehuda Meshi-Zahav of the ZAKA organization, promised to take legal steps and launch public protest against the exhibit. He said that the origin of the bodies was unclear, and therefore there were concerns for human rights violations – an issue that should be cleared in court. "As an international organization that takes extreme measures, during daily routine and in crisis, to save and honor each body, and which sees to it that human bodies, which were created in the image (of God), are extended the same treatment worldwide, we cannot agree that things will be different in Israel." 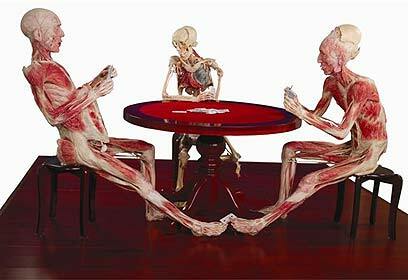 Meshi-Zahav said that his group planned to file a complaint with the police asking that they examine where each body part came from, "as was done in many other countries where the exhibit was held." He added: "We’re not talking about skeletons, but real bodies that need to be 'fresh.' It was alleged that they belong to people who were executed in China, and we will see to it that a stay-of-exit order is issues until this matter is examined." See all talkbacks "Haredim launch battle against human body exhibit "